The Carnival season is on! Although the official holiday is only next Tuesday, the celebrations of this amazing festival are starting today in many countries around the world, bringing happiness, vibrant colors, and awesome parties to the streets. Each country has its own way of celebrating Carnival but these three below are definitely the most famous worldwide, attracting tons of tourists and locals to the streets every year. If you could choose to be in any of these cities today, which one would you pick? Rio has the largest and most famous Carnival in the world. Every year, millions of people (including tourists and locals) arrive in the city to party and watch what is called “The Biggest Celebration on Earth,” a sentiment that is definitely not an understatement. The city offers tons of different events and shows, such as the world-famous Samba Schools Parade, which takes place at the Sambadrome, and plenty of free and amazing street parties as well. 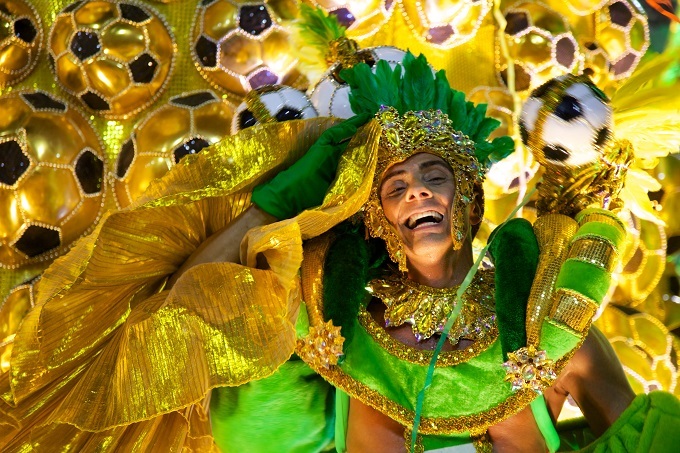 Though Rio may host the biggest Carnival event in Brazil, the festival is celebrated throughout the entire country. If you enjoy crazy parties, you should definitely consider a trip to Brazil at this time of the year at least once in your life. 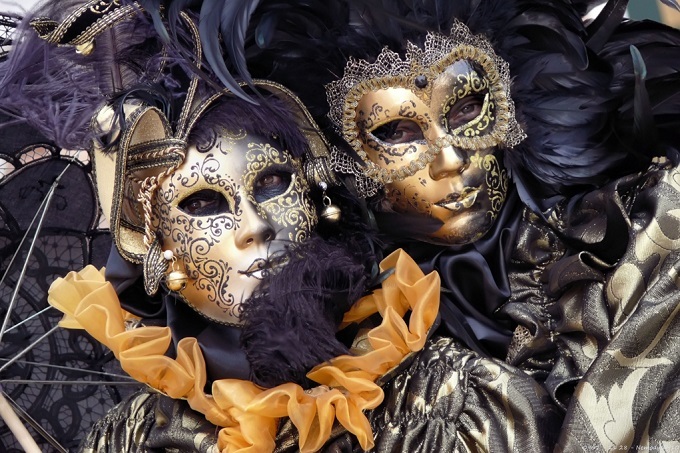 Famous for its elaborate masks and fancy costumes, Venice’s Carnival is a festival full of history and magic. It was first held in the 11th Century and still attracts tons of people to the city every year. According to the old tradition, Venetians used the anonymity of masks and costumes during Carnival as disguises, allowing for the taking of forbidden liberties. Whether any of this tradition remains true today is unknown, but visiting Venice during these festivities is like traveling through time to centuries ago. In addition to experiencing this historical atmosphere, partygoers can also enjoy many extravagant and unique events, such as masquerade balls, pub crawls, exclusive city tours, and even cruises. It’s another must-have Carnival experience. Contrary to what many people think, Mardi Gras and Carnival aren’t the same thing. At least not in New Orleans, the city that holds the most famous Mardi Gras celebration in the world. 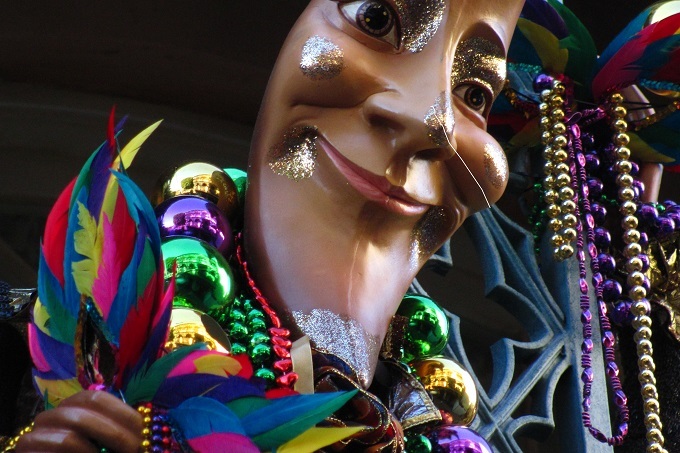 According to New Orleans, Carnival is the group of festivities that lead up to Mardi Gras, or “Fat Tuesday” in French. Tuesday will hold the long-awaited parades and parties of Mardi Gras, though most visitors will be arriving this weekend to enjoy the preliminary festivities, including balls, more parades, and tons of other events. New Orleans’ Mardi Gras has been taking place since the 18th Century and still maintains some unique and funny traditions. Each year, “krewes” (the organizations that put on the festival’s parades and balls) float around the city throwing beaded necklaces, doubloons, painted coconuts, and many other small gifts to the crowd. It’s a lot of fun and you definitely can’t find anything like it anywhere else!